Jerdine Nolen | What is ML Reading? 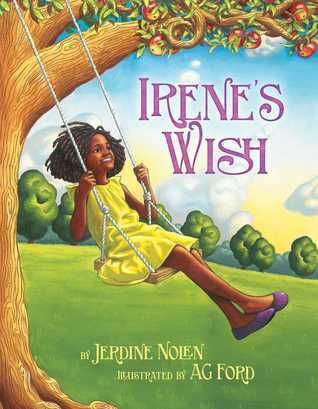 ML and I read Irene’s Wish by Jerdine Nolen and illustrated by A G Ford this past October. We both loved it. I decided to wait for a special day to share the book. That day has arrived. My grandma, named Irene, was born 105 years ago. In this story “A young girl wants her father to be home more, but her wish takes an unexpected turn.” Reading this book reminded me of the advice my grandma often told my dad, “Stop and smell the roses.” In my bedroom, there is a framed picture of grandma and myself (at age 2) in front of her roses. I wish ML could have met her. She was amazing. Going to work at the shirt factory to pay off the farm when my grandfather died suddenly in his fifties. . . taking care of her cows. . . waking to her singing hymns and the smell of bacon frying anytime I spent the night. . . driving her John Deere riding lawn mower into her late eighties. The dazzling acrylic and oil paints used in this book remind me of the brightness of her little yellow house and the crisp green of the fields, vegetable garden, fig tree, pecan tree, dahlias, irises and roses surrounding her house. 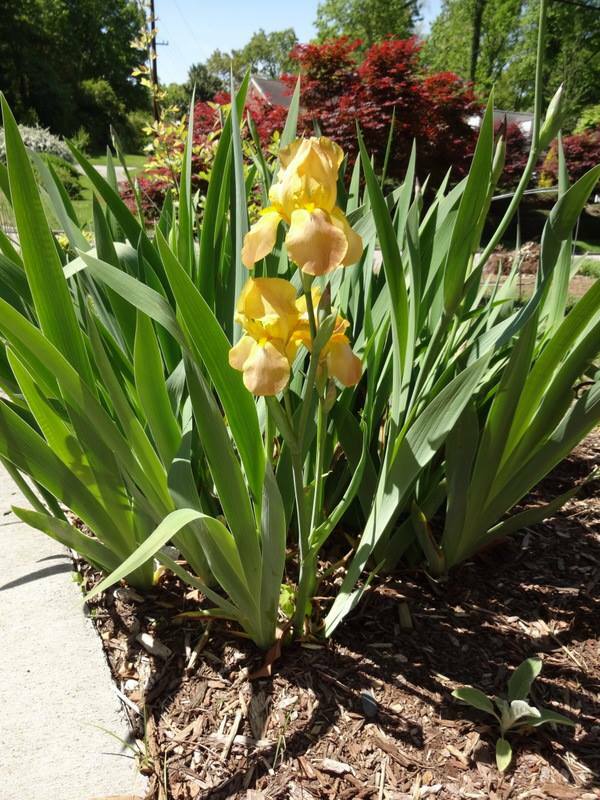 A few years ago, I dug up some of her irises and moved them to my home two states away. Below is a picture of the first bloom from last spring.